Samuel Umtiti has perhaps been the name most touted to join Manchester United this summer. The Frenchman has had constant links of an exit, with his unhappiness at Barca not giving him a bumper renewal being cited as the reason behind a probable departure. Add to the fact that he has a release clause of €60 million, and it seemed almost logical that the financially strong United, who are also in the market for a world-class centre-back, would make a bid. 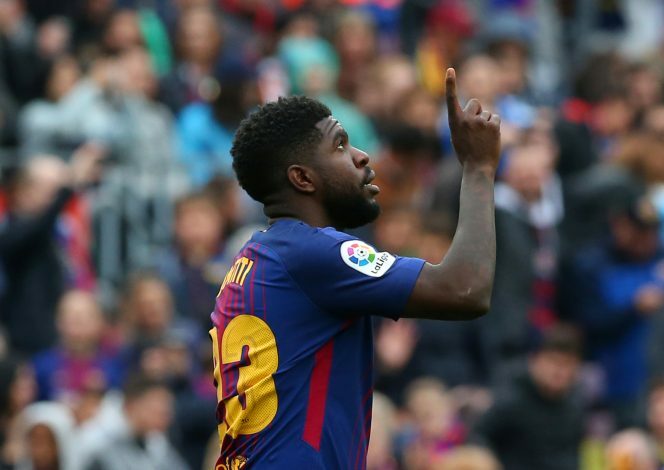 But now, Umtiti has given his final word on the matter, and it is bound to have a strong impact on Manchester United fans. Incidentally, Marca had earlier also reported that the entire Manchester City-Manchester United interest was, in fact, a ruse and might have been an attempt on part of the player’s agents to bargain for a bigger deal on account of the alleged interest. This is a feat that has occurred before to raise terms. Pretty firm words, which look likely to bring to an end a saga that has been going on for quite a while. However, it will be interesting to see exactly what sort of a contract Barca will offer him after all this hue and cry, and whether or not it will be worth it.